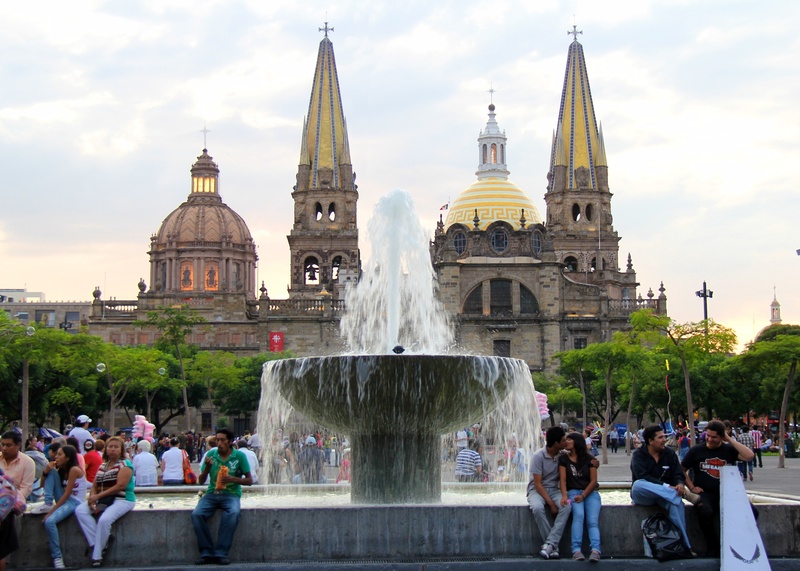 As a predominantly Catholic country, with a history of Spanish architectural influence, it’s no surprise that Mexico is the home of so many architecturally outstanding and beautiful cathedrals. 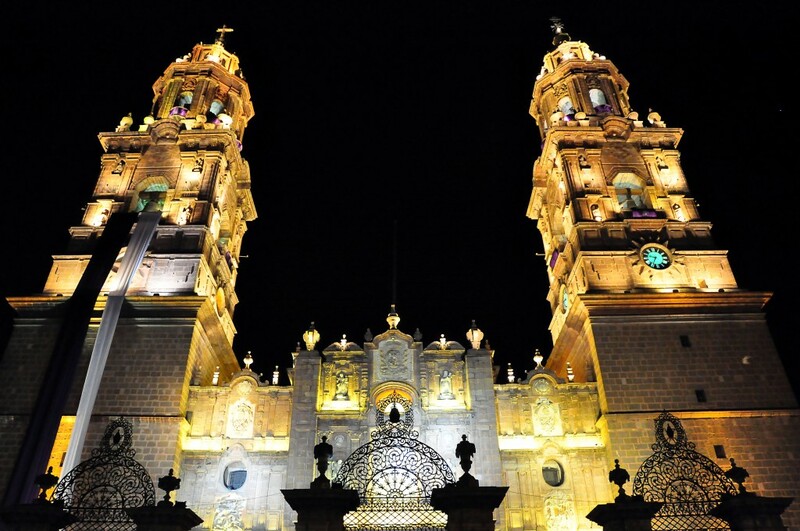 From Baroque to Neoclassic and back again, the detail and beauty that some Mexican cathedrals offer is spectacular; here’s our brief introduction to 11 of the country’s most impressive examples. 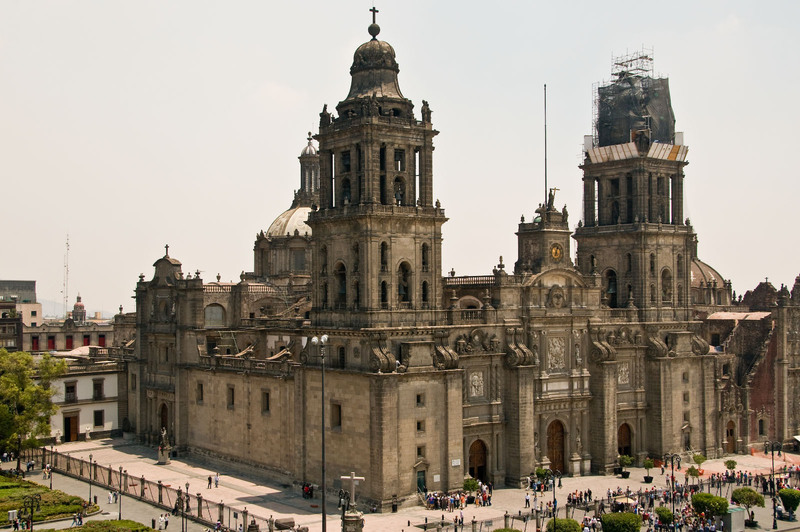 Why not start with the cathedral that dominates Mexico City’s zocalo? The Catedral Metropolitana is an imposing, magisterial building that is Latin America’s largest cathedral and arguably one of the most architecturally interesting. Notable for its amalgamation of three distinct styles (Baroque, Neo-Classic, Neo-Renaissance), much of the building material was originally taken from the Templo Mayor ruins and Conquistador Hernán Cortés was said to have laid the first stone. Stepping inside, it has a spectacular golden altar known as Altar de los Reyes, constructed in the Churrigueresque style. 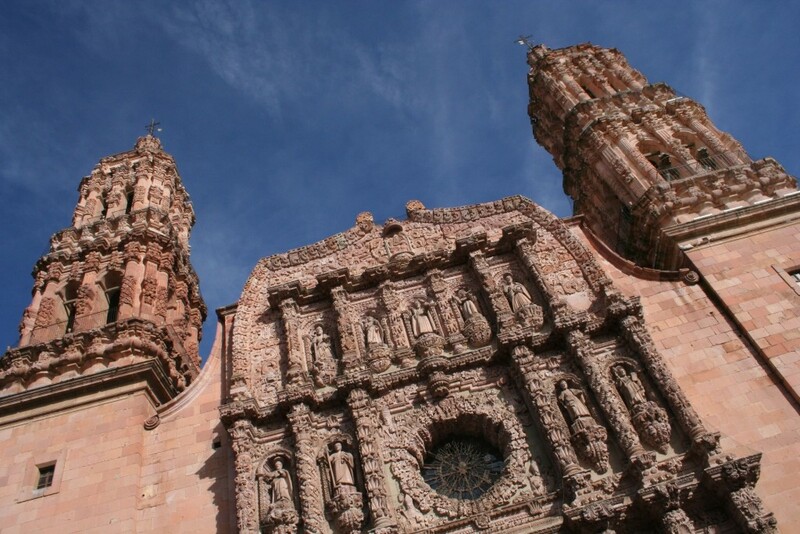 Zacatecas is a lesser-visited location and yet it houses one of the country’s most magnificent cathedrals, built in the pink quarry stone for which the city itself is well known. Widely considered to be one of the best-preserved examples of the Baroque style, the Catedral Basílica de Zacatecas, on which construction was begun in 1729, also features some notable Neoclassic and Churrigueresque influence. However, the main draws of this cathedral are undoubtedly the exquisitely and ornately decorated main doors and the surrounding Baroque façade. Morelia was once a heavily Purépecha area before the Spanish conquest and conversion to Christianity. Perhaps the edifice that most exquisitely demonstrates the once indigenous area’s new dedication to this religion is the Catedral de Morelia, with its Baroque architecture, and interior Neoclassic tableaux. Not only is it one of the most stunning buildings around, its 65-metre-high towers also put it up there as one of the continent’s tallest cathedrals. The best time to check out this cathedral is at the weekend, when a sound and light show is carried out each evening. 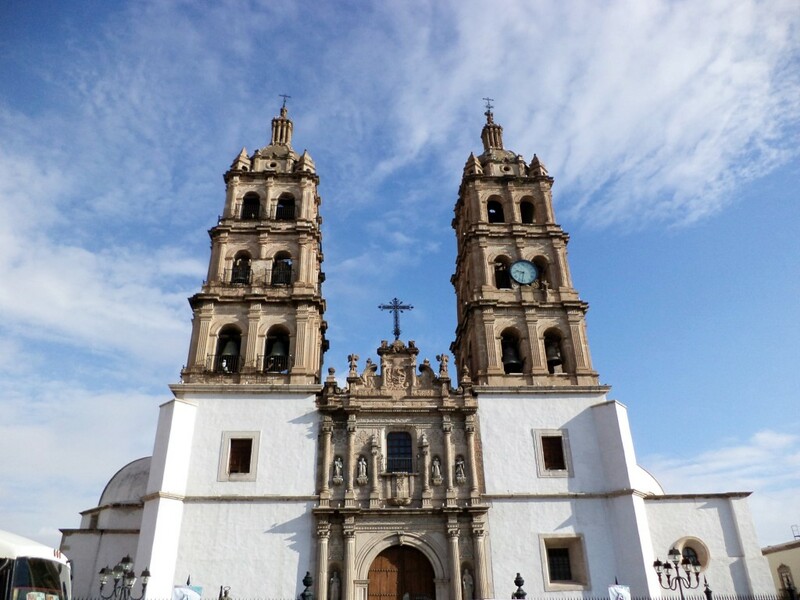 Dominated by a combination of two architectural styles, Durango’s principal cathedral is a masterpiece of design that was completed in the year 1844 after a couple of thwarted attempts to construct it in the century prior. 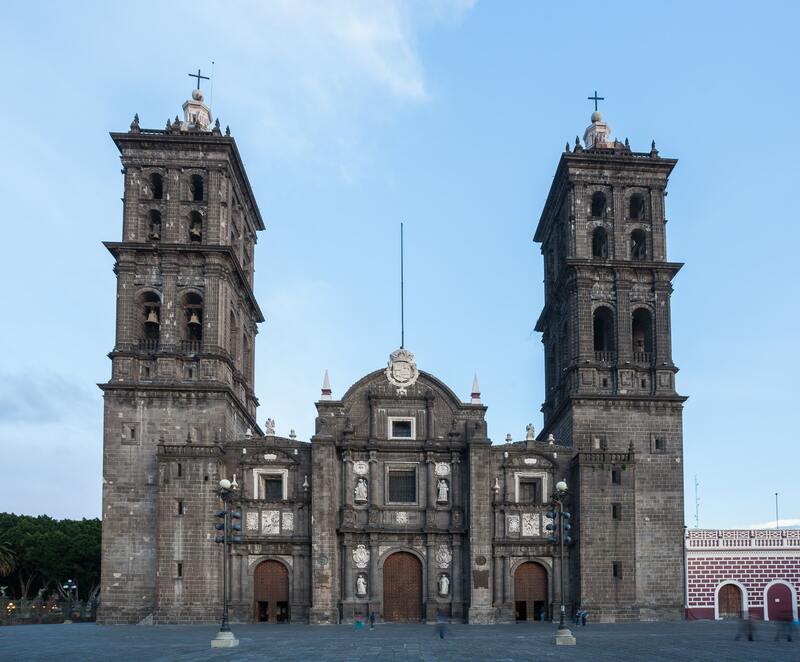 While its façade is principally Baroque, the doors on either side of the building are in the ornate Churrigueresque style and the interior is famed for its marble sculpture of the Purísima Concepción. As legend goes, the ghost of a religious woman haunts its bell tower. One of, if not the, most iconic building in Guadalajara, the cathedral which dominates the historic centre of Mexico’s second largest city is instantly recognisable. Smack bang in the centre of four plazas, the Catedral de la Asunción de María Santísima is a mish mash of four different styles; Gothic in the interior, Baroque, Neoclassic and Moorish. The most unusual aspect of this cathedral comes from the twin yellow towers, which make up a key part of the city’s skyline. It’s also known for its spectacular French organ, which is the second largest in the country. This beautiful cathedral, situated in the equally beautiful town of Puebla, was 74 years in the making. The wait was clearly worth it though, as this building is now considered one of the continent’s best cathedrals and attracts thousands of visitors each year who come to marvel at the impressive collection of tableaux, paintings and sculptures that are housed within. Notable interior features include the Manuel Tolsá designed Altar de los Reyes and the intricately painted dome of the chapel. 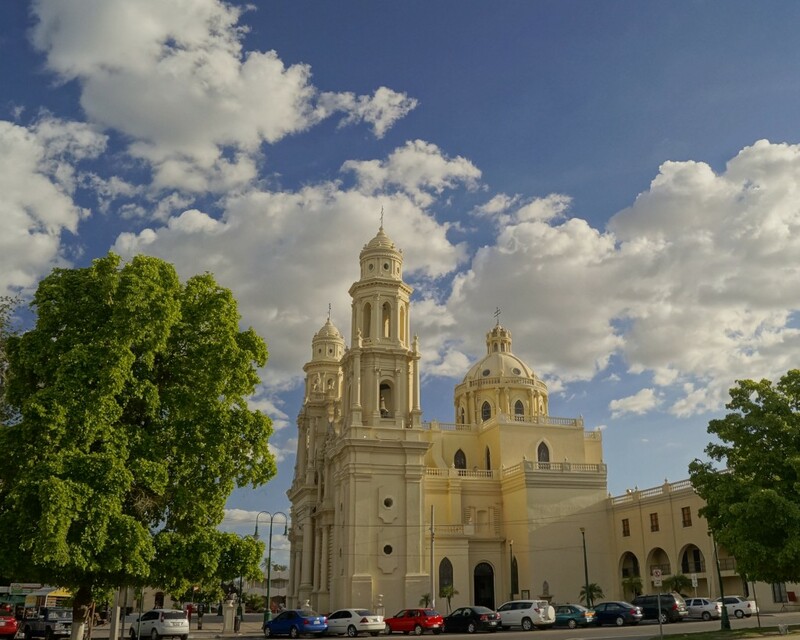 Architecturally eclectic, the Catedral de Nuestra Senora de la Asunción in Hermosillo is an impressive structure that makes a visit to this northern city more than worthwhile. It also constitutes one of the most recently completed cathedrals on our list, having only been finished in 1908. In contrast to many of the older cathedrals on our guide, it is made from striking cream-hued stone which gives it an almost ethereal yet imposing air and draws attention to the beautiful combination of Neogothic and Baroque architectural details. 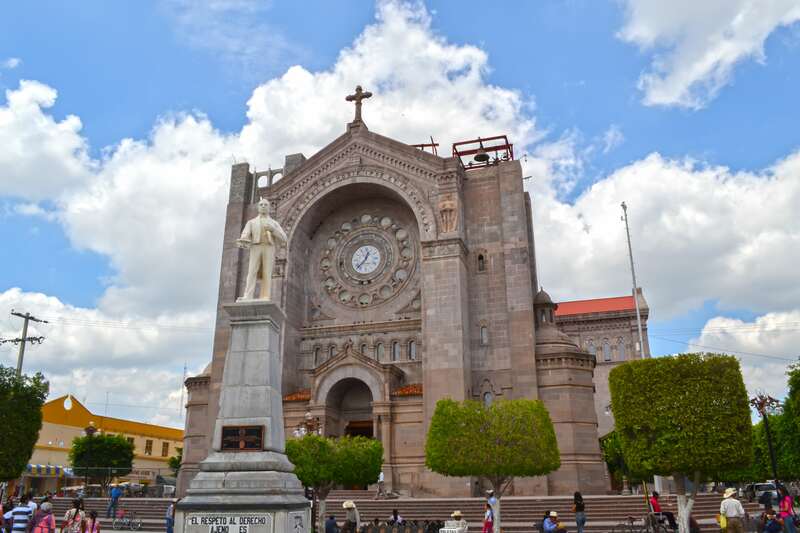 Perhaps one of the most visually distinctive cathedrals on our guide, the Catedral de la Inmaculada Concepción in Matehuala is notable for its rose window which is set back from the actual front of the building’s façade. This ultimately allows for a breathtaking stream of light to flood into the interior. Interestingly enough, it is actually one of the few cathedrals that was not directly influenced by Spanish architecture; in fact, it is an entirely more impressive, larger and wider replica of a French cathedral. 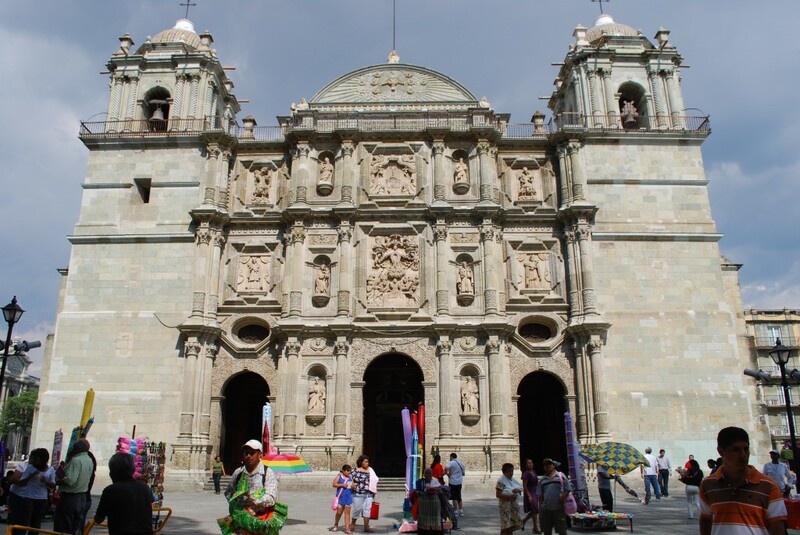 Constructed from typically Oaxacan green cantera stone, the Catedral de Oaxaca is an excellent example of Baroque architecture with a Neoclassical interior. Studying the façade allows you to truly appreciate the level of detail that is included in the sculptures that dominate this cathedral’s aesthetic, and upon entering the cathedral you can also take a look at the Our Lady of the Assumption statue, imported from Italy and made from bronze. While the external towers are impressive, they’re not the originals – those were destroyed in an earthquake in 1931. 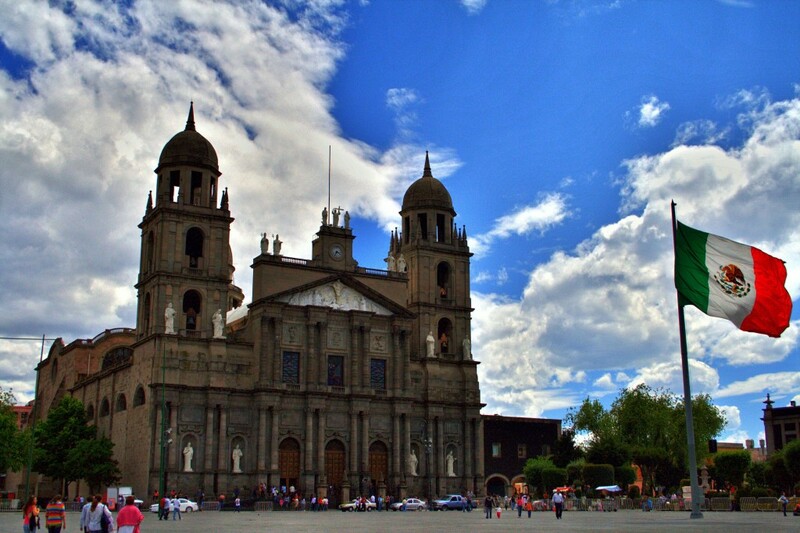 Situated in the State of Mexico, construction began on the Catedral de Toluca in 1867, although it was 1959 before it was elevated to the status of cathedral. Prior to that it was a Franciscan convent, although you wouldn’t know to look at it – it’s just as architecturally stunning as any other entry. Predominantly Neoclassic, there are five naves, as well as some striking domed towers and cupulas. What makes this cathedral really special are the sculptures of saints on the principal façade. Finally, we round off our guide with a far simpler but equally as worthy cathedral – the Catedral de Mérida in Yucatán. 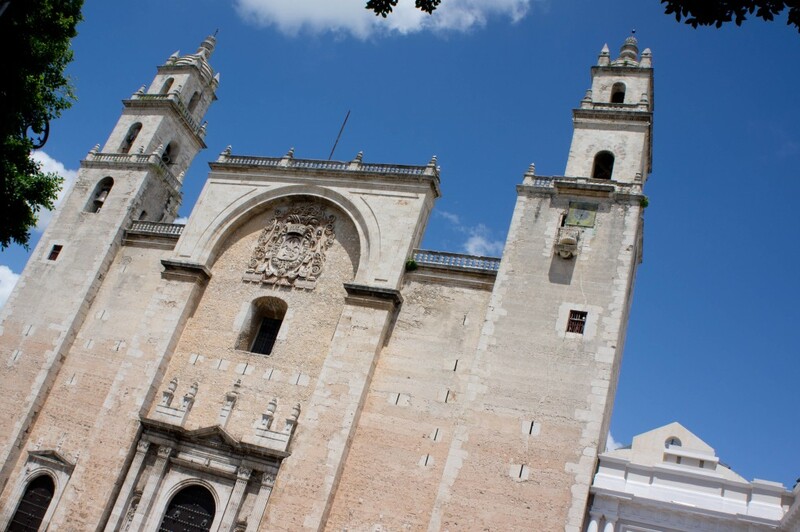 Built not long after the city of Mérida itself was founded, this cathedral is far less ornate than many of Mexico’s cathedrals yet it was the first to be constructed in New Spain. Its Renaissance style is notable, as are the significant Moorish influences in the towers which give it a very different feel to many of the country’s religious buildings, yet easily make it one of the most beautiful.